Andre Villas-Boas has declared he would not grant Frank Lampard's wish to play every game for Chelsea, revealing the midfielder must continue to fight for his place in the side. 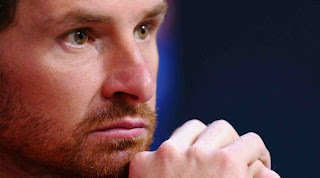 Lampard this week admitted he was unhappy at being rotated in and out of the Blues' starting XI since Villas-Boas took charge, claiming he always played better when given a run of matches. But Villas-Boas was not for turning, saying: "The situation with every player in the world is that everybody wants to play and everybody wants to feel part of a team. But in squads of 25, 26 players, there are always the people who want to go back into the team. It's the most normal thing and all of them expect to play. This is part of the day-to-day life on management. Frank, like other players, is fighting for his place and he's been involved in almost every game."